A caftan that's simplistic yet stunning. 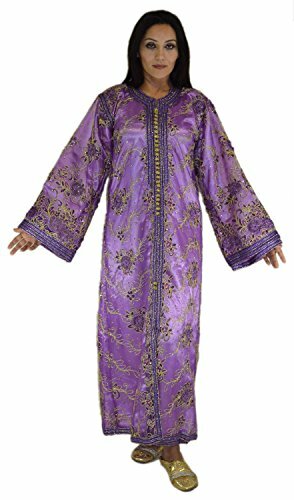 Slip into graceful, pure comfort in this 2 piece caftan made in Morocco with embroider hamming along the sleeves, the neck ,the center of the caftan also around the bottom edge. Gives you a Moroccan charm with a whole lot of elegance.